poet at heart Immij Nos ,born Jimmie Patterson III, turned rapper in 2005 when he discovered that his brother had a talent for making beats. Taking time to devlop his craft between taking notes at the University of Missouri Immij started to develope a style that everyone who has hard it could do nothing but fall inlove. A laid back, cool tempered, and low key guy, Immij focuses on living a straight edge drug and alcohol free life unlike many other artists in the hiphop community. 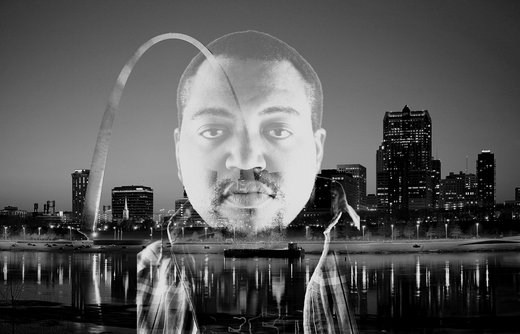 Currently Immij is on a mission to make an impact on the industry starting from the belly of the beast St. Louis, MO. When asked why he does this Immij responded humbly "Truthfully i just wanna make music and share it with the world...there is nothing i would rather do...so sit back and enjoy the ride." What sets him apart from other artists is that he's different, a breath of fresh air. Immij is not what people would expect someone who makes hiphop or rap music to be. Focusing more on the possitive he chose a life dedicated to not smoking, drinking or doing drugs. Not to say that he doesn't like to party, he just have his own way. Immij Nos represents a new breed of hiphop artists, moving away from gangsta rap and more toward backpack/intelligient/good time based music that you can party to but also makes you listen.